Milan, Turin and Cortina d'Ampezzo will launch a joint bid to host the 2026 Winter Olympic and Paralympic Games in Italy, it has been announced today. 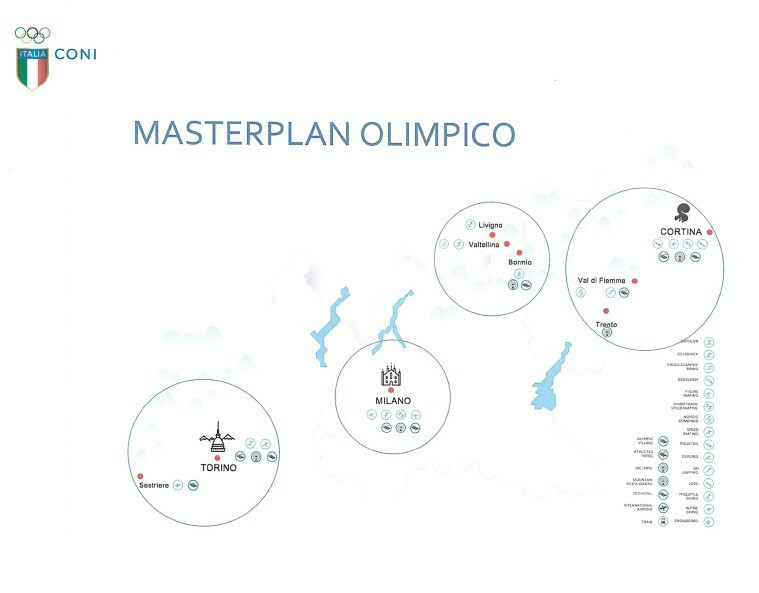 They claim it is an "innovative project intended to guarantee a balance between the respective territorial areas through the reinforcement of cohesion and respect between the areas identified to host the Games and the identification of solutions that provide the best chance for success of the candidacies for all of Italy". He reportedly informed CONI President Giovanni Malagò that they would still be willing to host Olympic events but criticised the supposed prevailing of "political reasons" over sporting and regional ones.